Faced with mounting concerns about the nation’s waterways, including the significant shoaling along the Intracoastal Waterway, legislators have organized informal bipartisan groups to explore the issues. Spearheaded by Rep. Mike McIntyre, D-N.C., legislators announced May 21 the creation of the Senate and House Waterways caucuses. Both congressional groups will explore the need for increased funding for the Army Corps of Engineers’ civil works program, and will address such issues as navigation, national security, flood control, hydro power, water supply and recreation. The caucuses were to meet in June to set priorities and a tentative agenda. Worth Hager, president of the National Waterways Conference, will serve as a liaison for the caucuses. 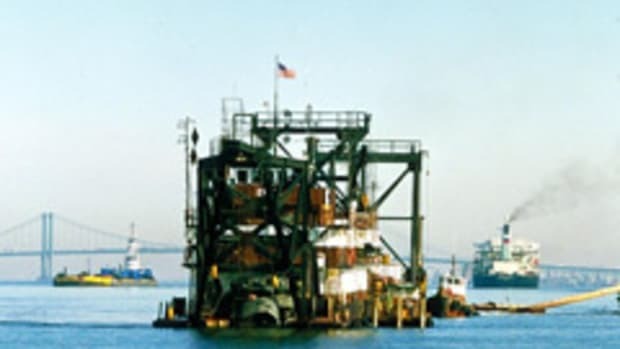 For example, Hager says funding falls short for the Atlantic Intracoastal Waterway because it is considered by federal officials a “low-use” waterway, one without much shipping traffic. The Administration’s budget for this fiscal year has zeroed out funding for many waterways and ports that are deemed low use because they fail to meet standards of 1 billion tons of freight mile in use. Industry groups and cruisers say unless funding is restored, shoaling may shut down the ICW in some spots. The Lockwood’s Folly Inlet area of the ICW in North Carolina has shoaled to 3 feet, forcing all but the smallest boats offshore between Charleston S.C., and Cape Fear, a passage of 130 nautical miles. Proponents say the caucuses will help educate congressional leaders about the waterway. Other industry groups also have voiced support for the caucuses, including the National Marine Manufacturers Association. Lynch has been lobbying for additional funding and a few months ago urged boaters to write to their legislators. She continues to push boaters to get involved. While Lynch’s organization represents commercial interests, she says the issue has galvanized the industry and recreational boaters. The association’s Web site (www.atlintracoastal.org) now features a discussion section where boaters can write in observations about current conditions. McIntyre and several of his colleagues have joined together in sending a letter to the Office of Management and Budget, urging it to review its policy regarding funding decisions for low-use waterways and ports.